An EP of David Bowie’s final recordings, “No Plan”, will be released on CD on February 24 and on vinyl on April 21. 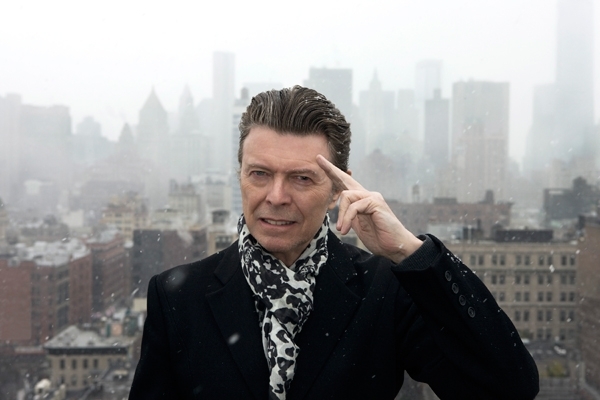 The package – which was recently issued digitally in sync with the late singer’s 70th birthday last month – features the title track, "Killing A Little Time" and "When I Met You" alongside “Lazarus” from 2016’s “Blackstar” album. The three tunes were first released last fall on the Original Cast Recording of the Broadway musical, “Lazarus”, a production featuring Bowie’s music that was inspired by Walter Tevis' novel The Man Who Fell To Earth; the musician previously starred in the 1976 film adaptation of the same name that was directed by Nicolas Roeg. “No Plan” will be issued on special vinyl formats including a limited edition made-to-order numbered die-cut package with white vinyl, and an exclusive artwork lithograph by Jonathan Barnbrook that will be available to pre-order for a limited time only. Last month, the “No Plan” digital EP reached No. 1 on the iTunes charts of 11 countries including the UK, Netherlands, Denmark, Ireland, Norway, Finland and Sweden, and broke the Top 20 in more than 30 territories. A year ago, Bowie released his 25th album, “Blackstar”, on his 69th birthday – just two days before his passing from liver cancer on January 10, 2016.